John Peoples is a scientiest at Fermi National Accelerator Laboratory (1999-present). Other institutional affiliations include Columbia University and Cornell University. His research interests include high energy particle physics and accelerator technology. January 22, 1933Birth, New York (N.Y.). 1955Obtained BSEE, Carnegie Institute of Technology, Pittsburgh (Pa.). 1955 – 1959Engineer, Martin Marietta Corporation. 1961Obtained MA, Columbia University, New York (N.Y.). 1966Obtained PhD in Physics, Columbia University, New York (N.Y.). 1966 – 1969Assistant Professor of Physics, Columbia University. 1969 – 1972Assistant Professor to Associate Professor, Cornell University. 1971 – presentPhysicist (1971-1985); Head, Research Division (1975-1980); Head, Antiproton Source Project, Research Division (1981-1987); Deputy Director (1987-1989); Director (1989-1999); and Scientist (1999-present), Fermi National Accelerator Laboratory, Batavia (Ill.). 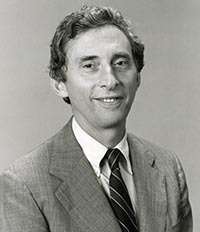 1983Vice Chair, Division of Particles and Fields, American Physical Society. 1993 – 1994Director, Superconducting Super Collider. 1993 – 1997Chair, International Committee for Future Accelerators, International Union of Pure and Applied Physics. 1998 – 2003Director, Sloan Digital Sky Survey. 2010Awarded Robert R. Wilson Prize for Achievement in the Physics of Particle Accelerators, American Physical Society. Both employed at Columbia University and at Fermi National Accelerator Laboratory. Obtained MA (1961) and PhD (1966). Assistant Professor of Physics. Physicist; Head, Research Division; Head, Antiproton Source Project, Research Division; Deputy Director; Director; and Scientist. Vice Chair, Division of Particles and Fields and received 2010 Robert R. Wilson Prize for Achievement in the Physics of Particle Accelerators. Chair, International Committee for Future Accelerators. John Peoples, Jr. collection, 1933-present. The Sloan digital sky survey [videorecording] : industrial scale astronomy / John Peoples. Office of the Director records, 1965-1999.